There are many churches in Prague - old, new, tall, small, world known or unknown - and it is impossible to see them all during one visit. That's why we prepared list of 9 Prague churches you should visit or (if you don't have much time) at least see their exterior. We promise you will not regret it! 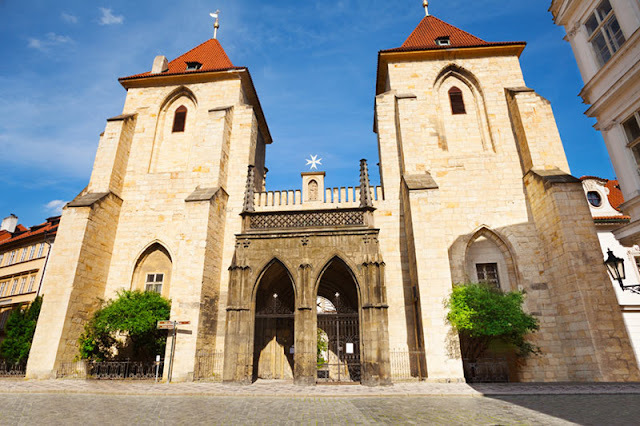 This church, located in the Lesser Town close to the Charles Bridge, was originally a Romanesque basilica founded in 1169 by the King Vladislaus I. The specific name of the church "beneath the chain" comes from the medieval custom of locking the streets around the convention with chains. Interior tours are possible only by appointment but you can just peek inside through the bars almost any time during the day. Services are held on Sundays at 10 am and on Wednesdays at 5.30 pm. You will need to travel to Vinohrady district to see this church but just by the picture it is obvious that this unique piece of architecture is a must see. 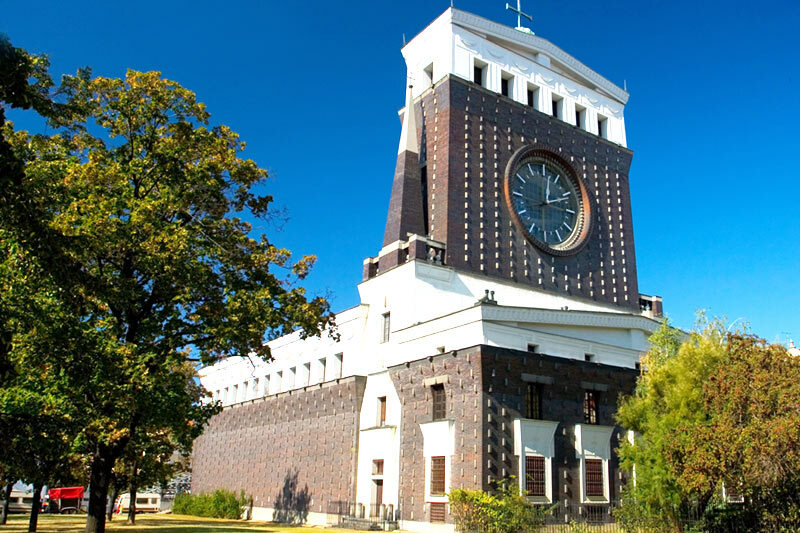 It is located in the Jiriho z Podebrad square just next to the Jiriho z Podebrad metro station. This modern monumental building was designed by famous Slovenian architect Josip Plečnik, author of many other structures in Prague. Tours are available mostly before and after a mass (Monday - Saturday 8 am and 6 pm, Sunday 9 am, 11 am, 6 pm). Probably the most iconic church in Prague and a proud dominant of the Old Town Square since the 16th century. 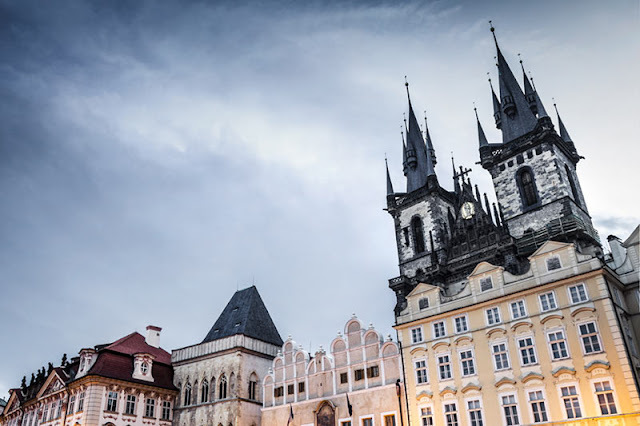 If you go to the Old Town Square you can't miss it as the towers with small spires are 80 metres tall. Even the interior of the church is truly impressive - you can see features from Petr Parler, John of Rokycan or Karel Škréta, including the oldest pipe organ in Prague (built in 1673). You can visit this church from Tuesday to Saturday from 10 am to 1 pm and from 3 pm to 5 pm, it is closed on Mondays and Sundays. You can pay voluntary entrace fee 10 CZK. Church of St. Nicholas in the Lesser Town is one of the most important baroque structures in Europe and it is often regarded as the most beautiful building of Czech baroque. Its huge dome and a narrow tower are a prominent part of the panorama of Prague Castle. The church is 79 metres high and it was completed in 1755. Be sure to climb to the belfry for amazing views. The parish church celebrates a weekly mass every Sunday at 8.30 pm. It is open from 9 am to 5 pm in spring and summer and from 9 am to 4 pm in autumn and winter, entrace fee is 70 CZK for adults. 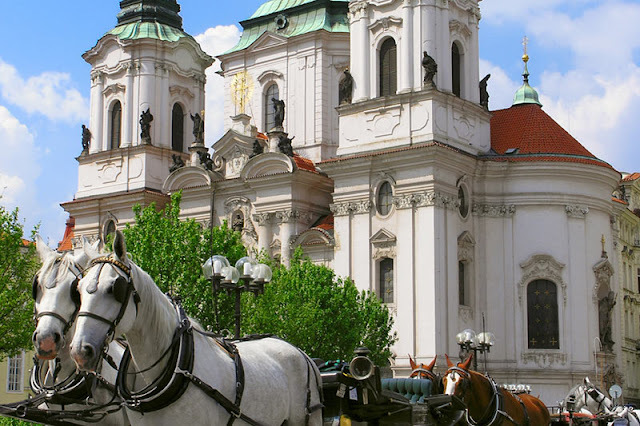 Don't be mistaken because there are two churches of St. Nicholas in Prague. The second one is located right in the Old Town Square. The construction of this Late-Gothic church was finished in 1737. The beautiful interior is open to the public and classical music concerts take place there. You can visit it from Monday to Saturday from 10 am to 4 pm and on Sunday from noon to 4 pm. This church recognizable by its unique towers is a part of Emmaus Monastery which became a center of culture and art during the reign of Charles IV. 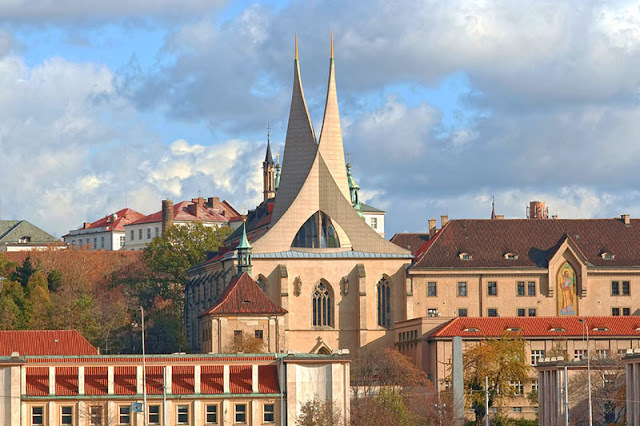 A former church was damaged in 1945 by the US bombing, the new roof and towers were designed by Oldřich Štefan. You can notice that an optical illusion makes the south tower look higher although it is not. You can visit the monastery every weekday from 11 am to 2 pm, entrace fee is 50 CZK for adults. When you go to the Prague Castle, be sure to visit the St. George's Basilica, one of the oldest churches in the Czech Republic. It was founded in 920 and rebuilt in 1142. It is a burial place of Premyslids, a Czech royal dynasty which reigned in Bohemia and Moravia until 1306. The church has retained its Romanesque character from the rebuilt after the fire in 1142. The towers are 41 meters high. 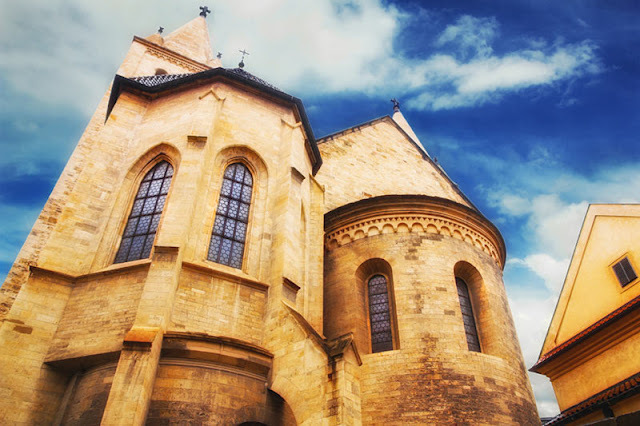 The church tour is a part of the Prague Castle tour (250 CZK for adults). 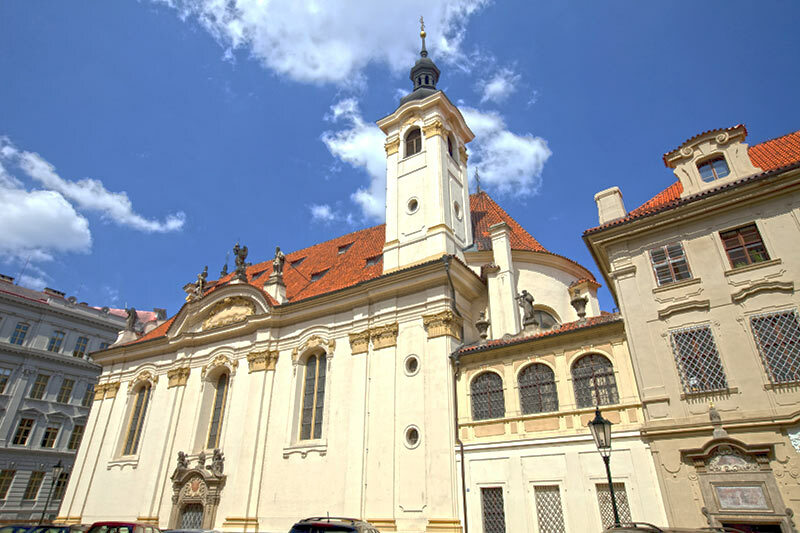 This church was founded before 1632 as the part of Brothers Hospitallers's hospital (today Na Františku Hospital). As the only church in Prague it is dedicated to the apostles St. Simon and Jude. It is located in the Old Town, not far from the Jewish Quarter, in U Milosrdnych street. If you stay in our Milosrdnych Apartments you will have amazing views of this church from your living room windows. These days it serves as a concert hall for the Prague Symphony Orchestra. You can find the list of concerts and ticket prices here. 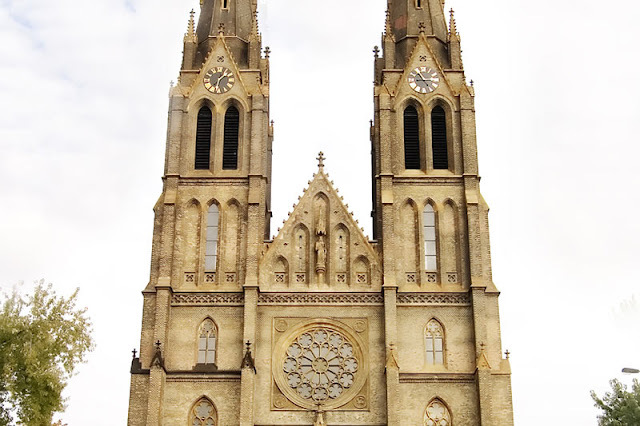 The Church of St. Ludmila located in Vinohrady district is a famous dominant feature of the Namesti Miru square. The two towers of this neo-Gothic basilica are 60 meters high and the nave is 50 meters long. The interior is decorated with impressive paintings and ornaments, take a closer look at stained glass windows with figures of saints. Services are held every day at 4.30 pm. Have you visited any other churches in Prague? 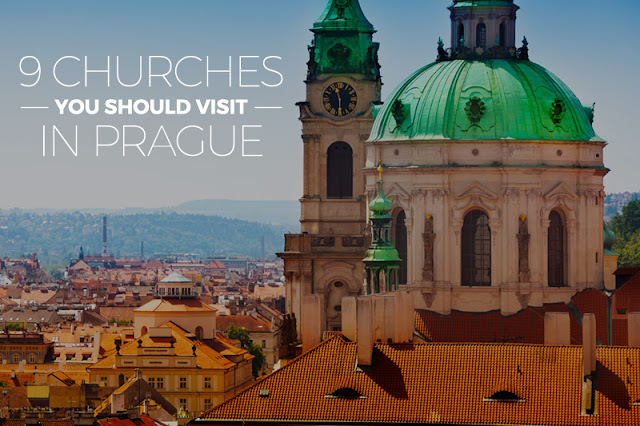 Would you like to add your favorite Prague church to our list? We would love to hear from you! Please share your recommendations in the comments section.